Pupils seek treasures from the past in park. App of the Week: Extension for learning outside the classroom. Natural Environment and People evidence round up, December 2016. Learning for Sustainability, December 2016 Newsletter. The ESRC Festival of Social Science event: Awaken the Spirit of Discovery in Science Outside. What do you think makes Exmoor National Park special?. The Edible School Garden: 8th February 2017, St Mary’s Primary School, BS35 1HJ. This course will give you the skills you need to set up a simple productive garden and manage the growing space seasonally throughout the year. Investigate Primary Plant Science through the Garden: 7th March 2017, RHS Garden Rosemoor, Great Torrington, Devon, EX38 8PH. 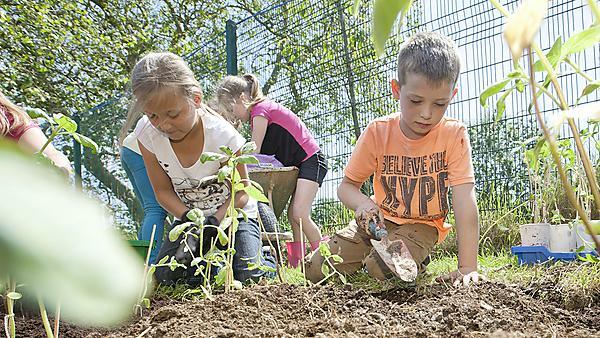 Learn to inspire children through the wonder of plants and send them on a journey of investigation and discovery as they explore the science of the garden. Cultivating a Healthier School (Grow, Cook, Eat your own produce): 20th March 2017, Air Balloon Hill Primary School, Hillside Road, St George, Bristol, BS5 7PB. RHS horticulturists have teamed up with the Food Teachers Centre to provide a practical course to enable you to put pupil’s health and wellbeing at the centre of your school with an ethos and culture of great food. School improvement through outdoor learning and sustainability, 2017 Conference: 17 March 2017, Buckfast Abbey Conference. Download a PDF version of the conference flyer. Safeguarding & Protecting Children - IOL South West evening Course: 6 December 2016, St Austell. Safeguarding & Protecting Children - IOL South West evening Course: 14 March 2017, Yelverton. MPhil/PhD studentships available in PSI and FABE: The Faculty of Architecture and the Built Environment (FABE) at the University of Westminster is offering three MPhil/PhD studentships, to start in September 2017. PSI’s mission is to inform a more sustainable society, particularly in the context of climate change. PSI is a research centre in FABE, and applications for doctoral study in PSI are eligible for this competition. We wish to encourage and actively support high quality MPhil/PhD applications in areas that align with those of our researchers. The launch of the new Centre for Creativity, Sustainability and Educational Futures (CenCSE) 8 July, the St Luke’s Campus, University of Exeter. Being Outdoors with Children from Birth to Three: this course, providing an in depth opportunity to consider the value and practicalities of getting very young children outdoors and into nature, is an exciting initiative of the newly formed ‘Skogsmulle UK’. The course is to be held in Hyde near Manchester in late July. Funded PhD opportunity: this PhD is closely linked to a three-year research project entitled Improving Wellbeing through Urban Nature: integrating green/blue infrastructure and health service valuation and delivery (IWUN). Through supporting the development of a smartphone app, evaluating the efficacy of the App as a data collection tool and working closely with project partners and stakeholders to explore the potential for the App as a green prescription. Can a smartphone App promote therapeutic interactions with the natural environment? at FindAPhD. Burrator Discovery Centre Project evaluation, the Discovery Centres’ 2nd Birthday Party and other events. Ambios Bioblitz invitation: Ambios are holding an inaugural Bioblitz, an intense 24 hour survey aiming to record all living species within an area, at our beautiful Lower Sharpham Farm site next to the River Dart. The Dart School Invites you to an Evening of Music, Story and Song: A fun and entertaining ‘cabaret’ style evening of music, storytelling, songs and provocations presented by The Dart School, a school being founded on connection to nature, community, care, and a love of learning, with creativity at its heart. Come and join us. Visit the Dart School website. Report for the Rippledown Residential Education Programme: Evaluating the residential programme of activities for children 2015. This report presents the findings of an evaluation of the Rippledown outdoor experiential programme of activities for a group (N = 50) of early adolescents (aged 10-11) during September through to November 2015. It illustrates the positive elements of being away from home and learning to interact with other children and adults in addition to learning about the environment. The implications of these results are briefly discussed in relation to previous research and contemporary education issues relating to wellbeing and environmental awareness. Read the executive summary and full academic report on The Bay Trust website. Green Exercise: Linking Nature, Health and Well-being: the concept of Green Exercise has now been widely adopted and implies a synergistic health benefit of being active in the presence of nature. It describes the impact of Green Exercise on human health and well-being through all stages of the life course and covers a wide spectrum from cellular processes such as immune function through to facilitating human behavioural change.